Hello from the skies! I am in transit and joining the ranks of in-flight WiFi users. I'm so fancy. 1. I dropped Napoleon off yesterday to spend some quality time with his fur cousin, Bowie. 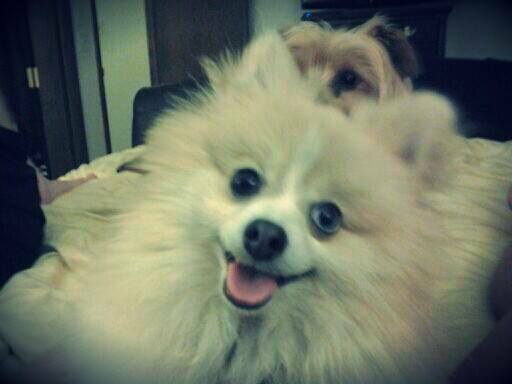 I hope his more photogenic family member teaches him how to properly pose for a photo. 2. I know it's my job and all, but I love social media. 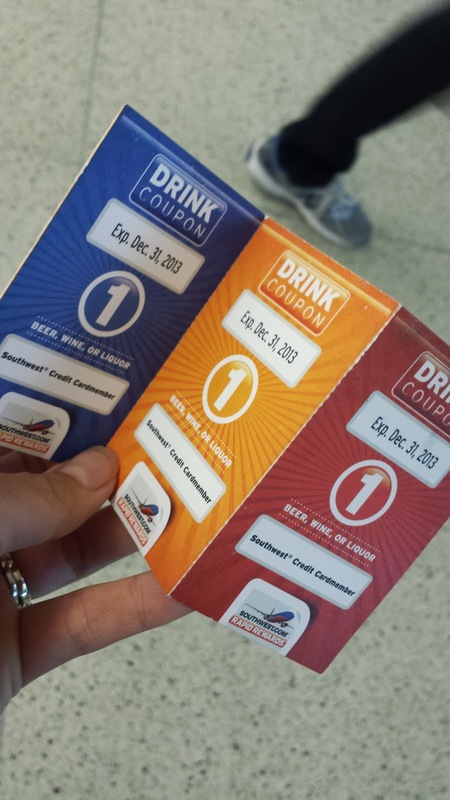 We're flying Southwest to Austin today, and the a service rep tweeted me to let me know everyone gets a free drink on board because of 'Merica's birthday. 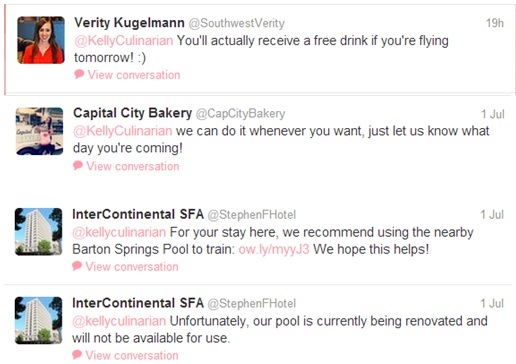 I also tweeted our hotel, who told me the pool is closed, but offered an alternative. The bakery I want to visit in Austin doesn't make the dish I want to try every day, but sure enough, I tweeted them and it's waiting for me when we get there this morning. Twitter, I can't quit you. 3. I'm gonna pop some drinks. Got so many vouchers in my wallet. It's a holiday and I'm flying. Have an awesome trip. Sometime I need you to explain twitter to me. I feel like I would need to be on it all the time. I just don't have the time to be on it all day. That work thing and all.